Al Phillips the Cleaner, Inc. had been incorporated in the year 1984. According to report in 2008 October, it functions as an ancillary of Advent Cleaners, LLC. It is a privately held organization and offers washable as well as laundry services. 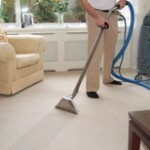 It provides cleaning, finishing, press and pre-spotting services to customers. Additionally it is into the business of dry-cleaning services for garments, formal wear, wedding gowns, heirlooming, household products and lots more. Even the company offers its customers with alteration services which include buttons, zippers, alteration of sizes etc. Estimated revenue generated yearly and employees are assumed to be $2,700,000 and 932 respectively.